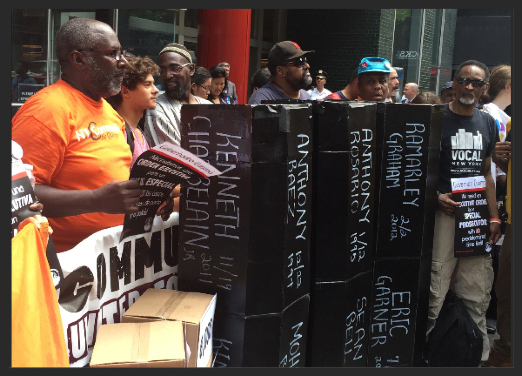 The call to establish a Special Prosecutor in the state of New York to investigate and prosecute cases when police kill civilians has been a decades-long fight, courageously led by surviving family members of New Yorkers killed by police violence and brutality. 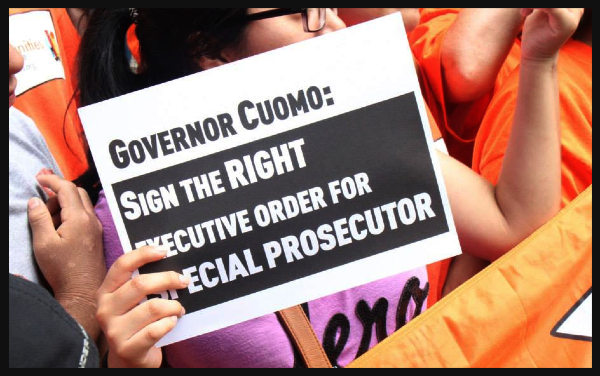 We have been honored to #StandWithTheFamilies in pushing Governor Cuomo to issue an executive order for a special prosecutor in police killings. Yesterday, the governor did so, authorizing a special prosecutor within the office of the New York State Attorney General. The advocacy of the families - supported by the Justice Committee and many other member organizations of Communities United for Police Reform – not only moved the governor to act, but through continued advocacy strengthened the final executive order to not include previously-floated dangerous loopholes (the governor initially said the executive order would only last a year and cover cases where unarmed civilians were killed by police). Thanks to the opposition of the families, supported by advocates, the final version grants the Attorney General discretion to cover cases where there is dispute about whether civilians were “armed and dangerous” and does not include a pre-determined time limit. This executive order is important and will help end the conflict of interest plaguing local district attorneys in prosecuting police killings of civilians. It is a hugely positive step forward to hold police departments across our state accountable for deadly police violence against our communities. None of this would have been possible without the tireless advocacy of the families, some of whom have been working to achieve this reform for years. It’s critical that we ensure that the implementation of the executive order is successful, with the special prosecutor being adequately resourced, and that we achieve eventual passage and enactment of a stronger permanent solution enshrined in New York State law. This progress would not have been possible without the strong leadership of New York families, the collective efforts of amazing organizations, and support from thousands of individuals – like yourself – who signed petitions, called the Governor’s office, and shared this campaign with family and friends. We know there remains much work to be done to end discriminatory policing and the dysfunction of the criminal justice system in New York, but we must recognize the hard-won victory by the families, and people of New York who support them, who forced our state government to act. We remain inspired and motivated by the commitment of the families and their leadership in the movement for police accountability. We continue to #StandWithTheFamilies and will build upon this success to achieve further justice and reforms to keep our communities safe.